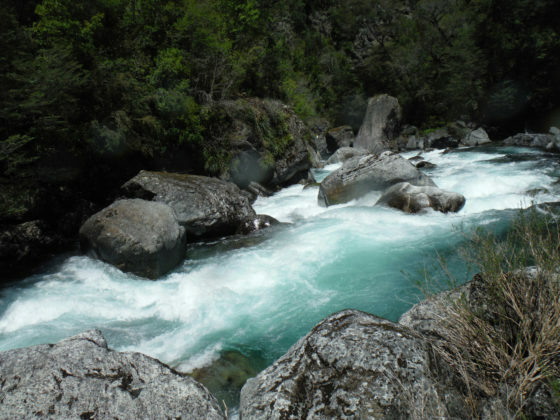 The river is free-flowing and in early season is fed by snowmelt as well as rain. The valley the river flows through is pristine with native forests, crystalline waters and friendly people. Directions: From Ruta 5 in Collipulli take paved road towards Curaco. The pavement ends at KM 45 and gravel roads continues into town of El Amargo km 56?. 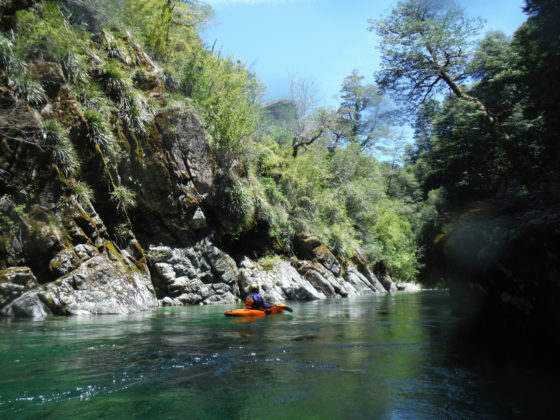 There is a good takeout in town at the confluence of the Renaico and the Río Amargo (Amargo is also an excellent run: see separate description) which also serves as an free and safe campsite. Continue up the Pemehue valle to the put in at the absolute end of the road. En route one will pass the park offices of the Reserva Malleco, hot springs of both Las Mentas and Pemehue as well as a mini brewery in a green barn. 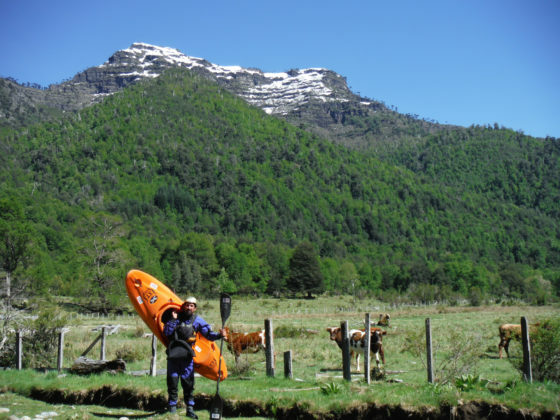 The put in was on upper reaches of Renaiaco about 4 km beyond Termas de Pemehue or at approx. km 83. The river starts very small at around 100 CFS but within 3 km doubles with a tributary and quickly builds after that. Staring out as class three things changed about 4 km downstream at km 79. Here we ran a class 4-5 drop that was immediately followed by two more class 5 drops the last of which had massive flake to deal with then a nasty looking ledge hole. We portaged a bit back upstream on river left and then roped our boats up and were soon at the road. After walking down the road 100 meters one can make it back to the river. From here the river entered a very pronounced canyon and took on qualities of the Maichen with thick forests and aqua clear water and nice class 4 drops. 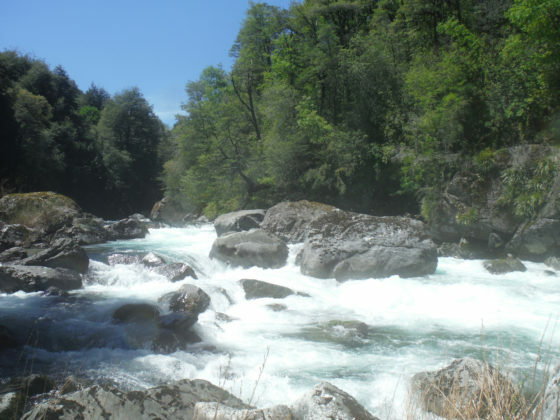 The Río Diablo enters river right and doubles the flow. The largest drop we came to we dubbed the Cochamo rapid as it looked like something from the Cocahmo with a complicated upper portion finishing with a large river wide hole. We chose to portage on river right. As the canyon tapered out the river entered channels where the trees seems to touch from each side. Take out is where Rio Amargo enters from river left in town of El Amargo. On our first descent Ben May and I finished river in 5 hours. The run is continuous in nature with class 3-6 rapids filled in with nice wave trains. We took out 24 KM downstream at confluence with Rio Amargo.